Located at the confluence of the BeijingHangzhou Grand Canal and the ancient Huaihe River n northern Jiangsu, Huaiyin has a history of more than 2,200 years. There are Chuxiu Park, Qingyan Park, Zhenhuai Tower, the Memorial Hall of Zhou Enlai, and other tourist attractions. Situated in the middle of the Northern Jiangsu Plain, Huai‘an is where the Grand Canal and the Northern Jiangsu Irrigation Trunk Canal meet. It has a long history. The Qingliangang Culture appeared there 5,000 years ago. 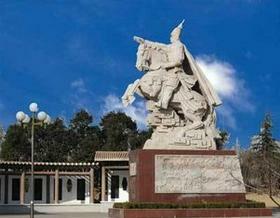 Huai’an has had a gathering of Celebrities since ancient times. There are many halls erected in commemoration of the famous personages. The tourist attractions Shaohu Park, Wentong Pagoda, the Temple of Guan Tianpei, the morial Hall of Liang Hongyu, Marquis Huai‘an Fishing Terrace, and the former residence of Wu Cheng,en.